The day looks like it will be a little overcast but otherwise a good day. should be a good day to try our first outdoor show. Lots happening in the park as well for the Autumn.Festival at Claude Moore Park. Have a wonderful day. I hope you sell out! I am setting up at a show now. Thanks Monte. Hope you have a good show as well. We can compare notes later. How was your show? Hope very well. Monte, Show went pretty well. 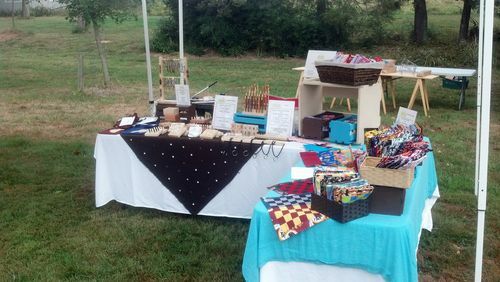 Only sold one pen but sold several games both fabric and wood in multiples. We got a 1 weekend break now until the next one.